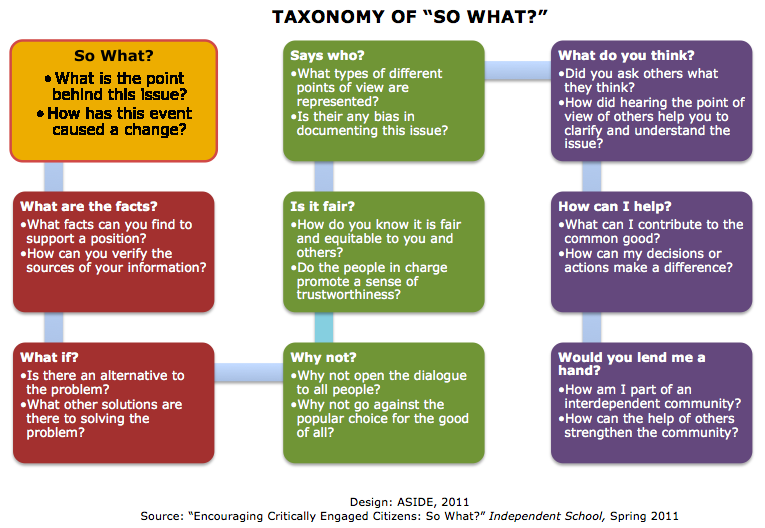 Motivation leads to action as questioning leads to awareness. We will better equip our students to participate as active citizens if we push them to make choices, encourage them to be selective, and engage them at all levels to participate in their own learning. 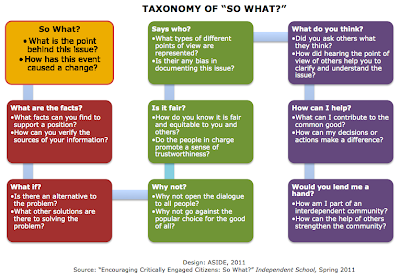 Questioning is key, and it starts with "so what?" Choice, Empowerment, and So What?